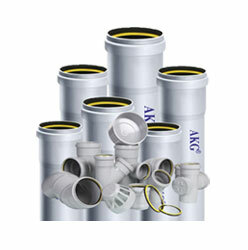 uPVC Column Pipes | AKG Group. 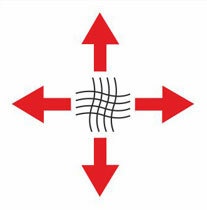 Advanced machinery for superior quality. 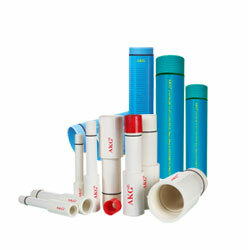 AKG uPVC Column Pipes are specially designed for submersible pumps. 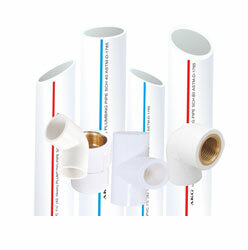 These uPVC Column Pipes blend the perfect combination of technology and quality that guarantees a long hassle-free performance. 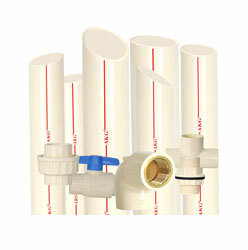 These uPVC Column Pipes are a perfect replacement of galvanized steel pipes used for column application. 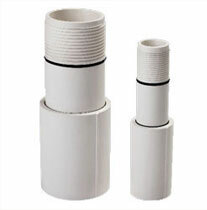 Stringent quality is checked at every stage of production and ensuring the highest standards, which forms the ball mark of these uPVC Column Pipes. 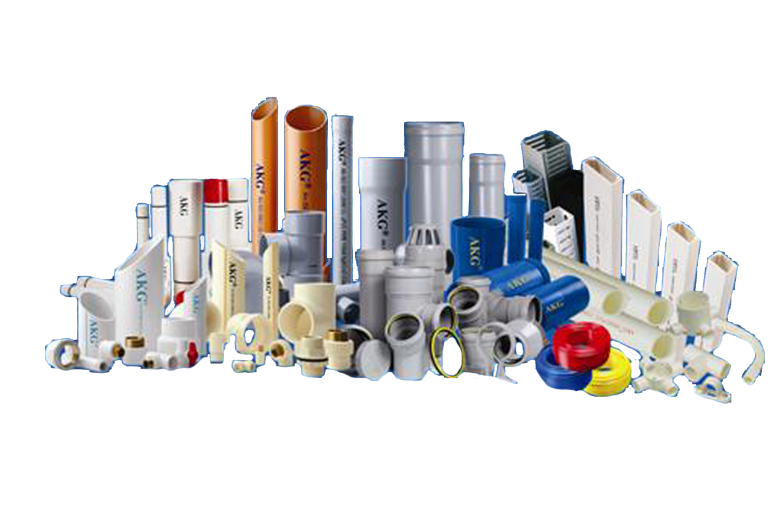 We offer a quality imbibed range of uPVC Column Pipes that have minimum frictional losses and thus save the pumping cost. 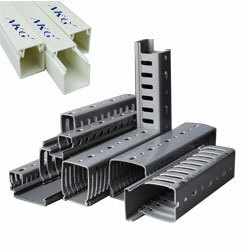 These are widely reckoned by our clients for its features such as corrosion resistant, easy to install and light weight. 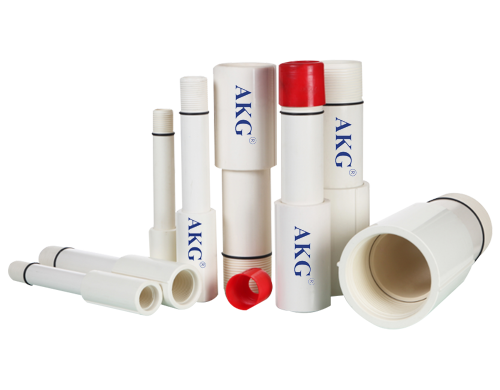 Patent registered in India The joint of pipes have been specially designed with square threads & rubber rings to ensure proper gripping, no chance of slipping & 100% leak proof joint. 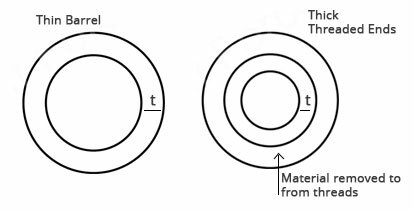 These threads are high friction threads on load, which do not open even on constant forward and reverse torque generated by starting & stopping -----. 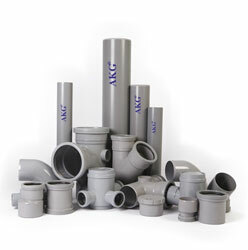 They are made on specially imported CNC machines with special tools to ensure perfect dimensions and good & easy ALL threads checked thoroughly with special gauges to ensure 100% accuracy. 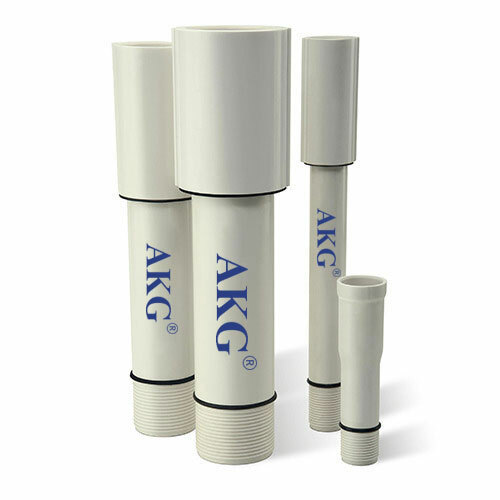 AKG high tensile. 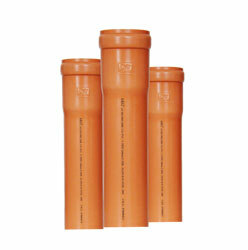 High impact column pipes are made with specially designed formulation, so that pipes are capable of handing both internal hydrostatic pressure as well as huge vertical tensile load on the pipes due to the column and pump weight. 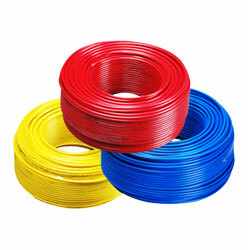 The special formulation ensures that the threads do not get brittle and break/chip even after loosening and tightening several times during the life span. 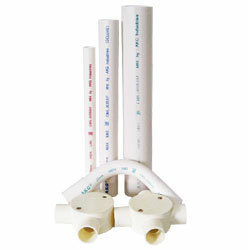 Special raw materials are used in very well defined processing techniques to make these pipes.